United Nations: South Korea's president urged North Korea to abandon its nuclear weapons and sought dialogue. President Moon Jae-In voiced support at the United Nations for stronger sanctions in response to the North's recent weapons tests. Moon, a longtime dove who was elected in May, warned North Korea to end its string of nuclear and missile tests but also promised help if the communist neighbor changed course. Moon said the North "must immediately cease making reckless choices that could lead to its own isolation and downfall and choose the path of dialogue." He said the North Korean nuclear issues need to be "managed stably" to prevent a spike in tensions and military clashes. South Korean president Moon Jae-In said Thursday he did not seek North Korea's collapse, using an address to the United Nations to urge a scaling down of sky-high tensions. "We do not desire the collapse of North Korea. We will not seek reunification by absorption or artificial means," Moon told the UN General Assembly. "If North Korea makes a decision even now to stand on the right side of history, we are ready to assist North Korea together with the international community," he said, as stony-faced North Korean delegates listened in the front row. 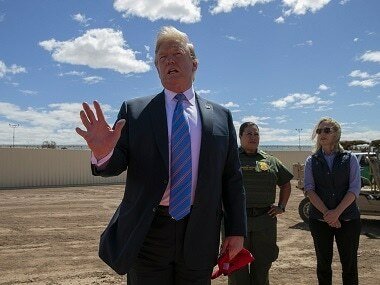 Moon will later hold a three-way meeting with US president Donald Trump and Japanese prime minister Shinzo Abe, two right-leaning leaders who have pressed to punish North Korea. Moon did not directly criticize Trump — who two days earlier threatened from the same podium to "totally destroy" North Korea — but appealed for calm. "The situation surrounding the North Korean nuclear issue needs to be managed stably so that tensions will not become overly intensified or accidental military clashes will not destroy peace," Moon said. He quoted late president Ronald Reagan, a hero for US conservatives, in saying: "'Peace is not absence of conflict; it is the ability to handle conflict by peaceful means.'" 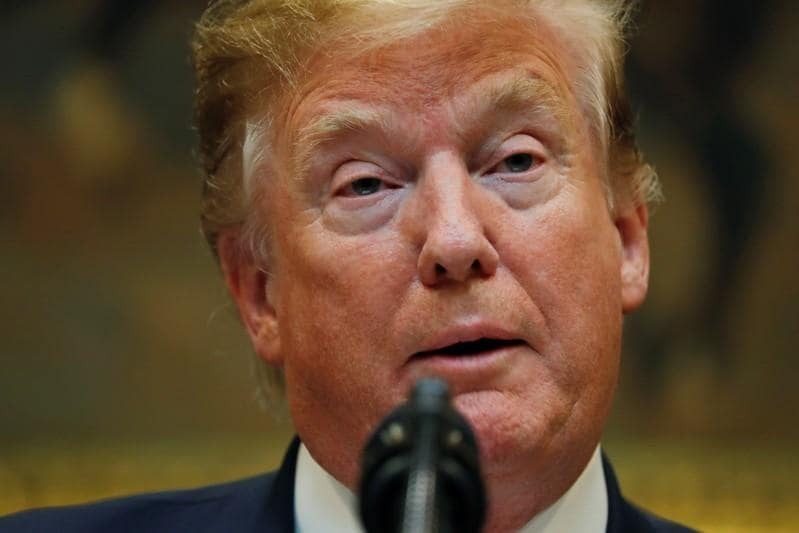 A US official said that Trump would later on Thursday make an announcement of further sanctions on North Korea. Moon voiced support for sanctions, calling for all nations to implement the latest UN Security Council resolution that ban North Korea's textile exports and end contracts for guest workers. 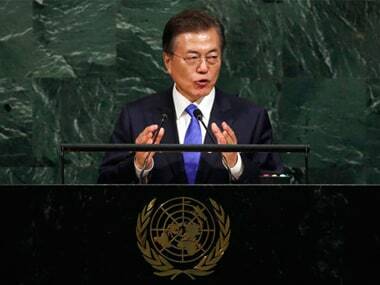 The liberal South Korean leader also offered a message of peace in his address Thursday at the annual gathering of world leaders at the UN. He said he wanted North Korea to attend next year's Winter Olympics to be hosted by South Korea.